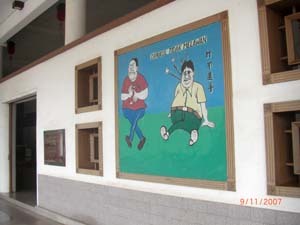 Some of the buddhism precepts at the same halls. 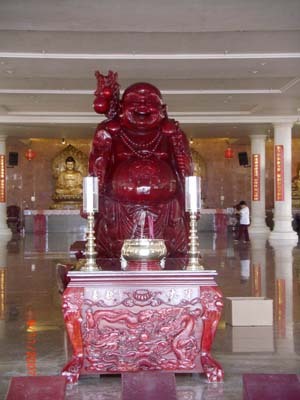 Statue of the Maitreya Buddha at the side hall. Generally, the Chinese worship him for wealth and happiness. 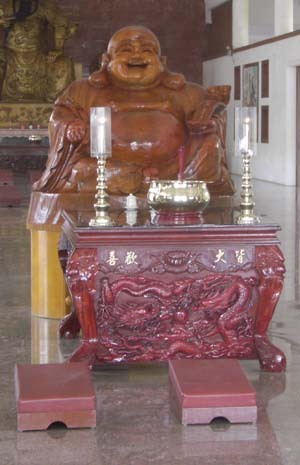 Due to his appearance, many people choose to call him "The Laughing Buddha". 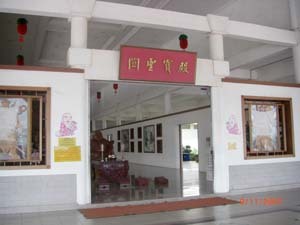 This hall is also the main hall for Kuan Ti, the Protector of Buddhism. To the Taoist, Kuan Ti was the God of War. 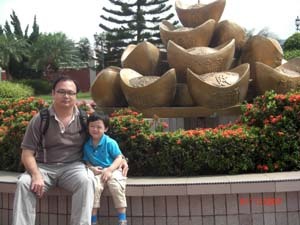 A photo of me and my boy here. At the main hall, another statue of Maitreya Buddha and the Sakyamuni Buddha at the back. 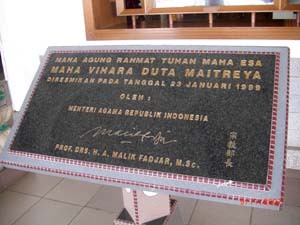 After I took this pic, then realised it is all in Bahasa Indonesia...haha.. Guess it should be who opened the place some time back? The side hall of the temple. A very importable notice at the side of the hall. 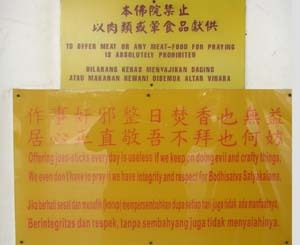 "Offering joss-sticks every day is useless if we keep on doing evil and crafty things."